Basements, garages, attics, bathroom and kitchens are all places prone to nose-crinkling odors. And all perfect locations for Fresh Wave Continuous Release Crystal Gel. Just open the jar and eliminate odors it is really that simple. With no harsh chemicals and no masking fragrances, our continuous release gel is safe to use around people and pets. The 16 oz. jar is perfect near a cat little box or tucked in the corner of a gym locker. Its odor neutralizing power lasts for 30 to 90 days. 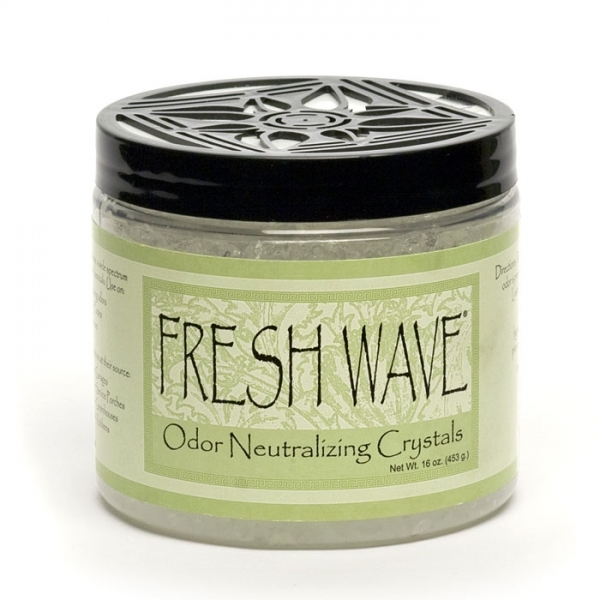 Comprised of extracts of soy, lime, pine needle, aniseed, clove and cedar wood, fresh wave is biodegradable and non-toxic perfect for the naturally green home.